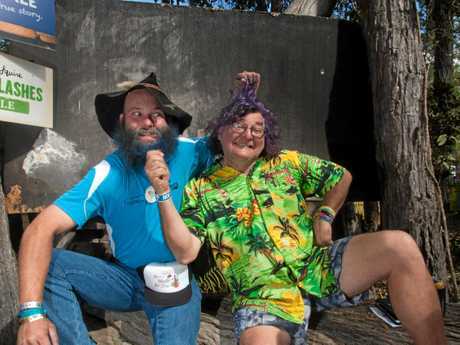 AUSSIE music superstars have been easy to find at every Gympie Muster since 1982, but one legendary duo came with heartfelt messages at the Muster Club's sold-out Biggest Ever Blokes' Lunch for prostate cancer on Friday afternoon. 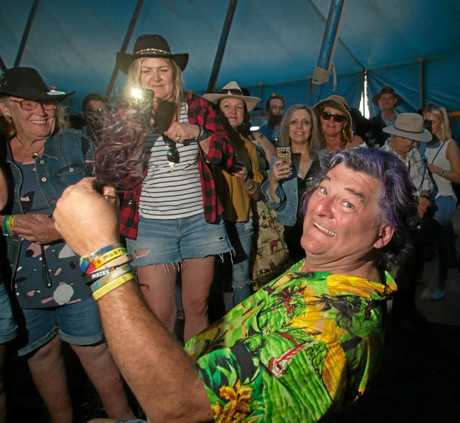 Former Rose Tattoo and Jimmy Barnes guitarist Tim Gaze and national country icon John Williamson featured at the event, sharing their stories and encouraging all men to seek regular check-ups. 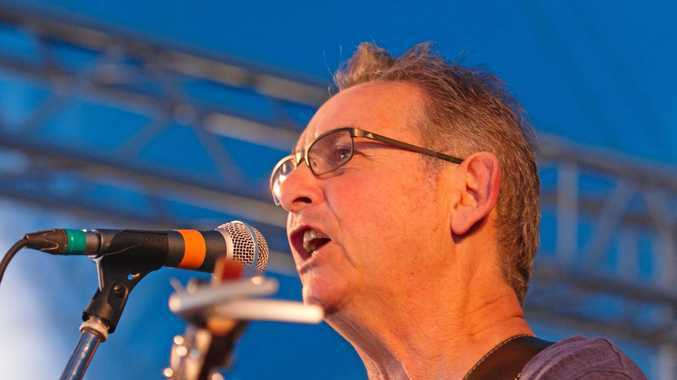 On top of facing his own battle, Mr Gaze lost band mate Peter Wells to the disease in 2006, spurring him to be a voice of caution and inspiration to men all over the country. 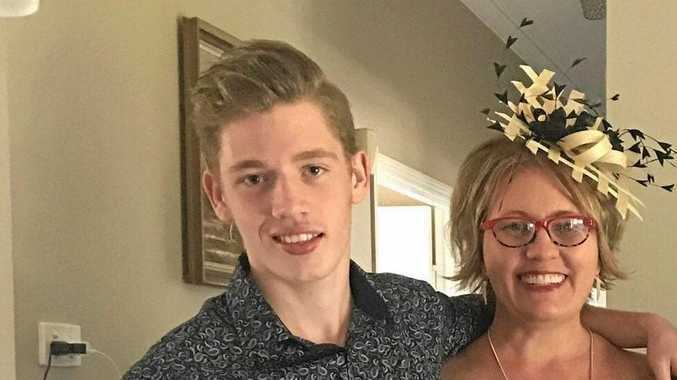 "I was diagnosed on Christmas Eve in 2009, I was 56 and I'd just had my first child, so one minute I was over the moon and the next I'm on the deck,” he said. "After Peter passed away Angry (Anderson) told us to get checked, so we did. We were able to catch mine early enough, fortunately for me it wasn't as hard as it could have been. "I'll talk to people any time they feel like they need to because it's a good support, when you go through something like that you don't know anything about it and it can be scary. All proceeds from the luncheon went directly to the Prostate Cancer Foundation of Australia, the Muster's 2018 charity partner. The Muster has raised more than $15 million for charity and community groups since it began in 1982.